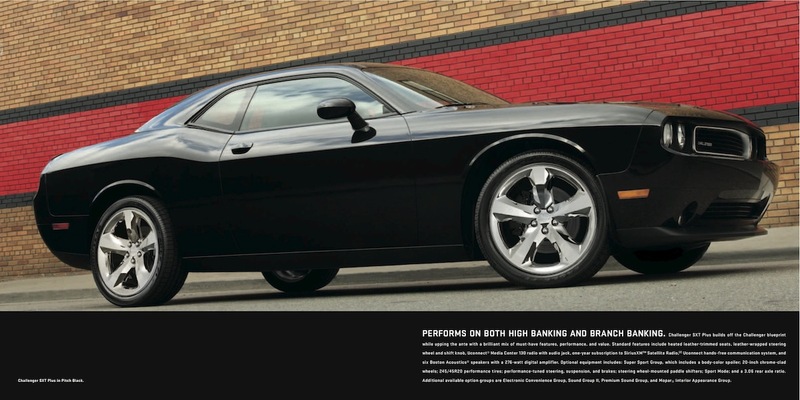 Sales brochure for the 2012 Challenger. Models include the 3.6L 305hp SXT, 5.7L 375hp V8 R/T, and 392ci 470hp Hemi V8 SRT8. Exterior color options include Bright Silver metallic, Blackberry Pearl, Header Orange, Pitch Black, Redline tri-coat pearl, Bright White, Tungsten metallic, and Blue Streak pearl.